The 46-year-old Irish singer's death in January shocked fans, although she had battled a bad back and other health issues in the last year. 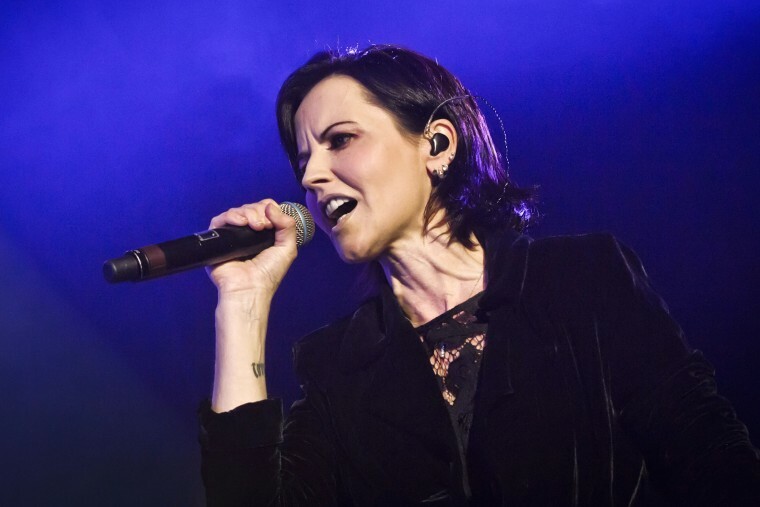 LONDON — The Cranberries singer Dolores O'Riordan died accidentally from drowning because of alcohol intoxication, a British coroner said. Witnesses told a coroner's inquest at Westminster Coroner's Court on Thursday that O'Riordan, 46, was found submerged in her bathtub at a London hotel in January. Coroner Shirley Radcliffe ruled O'Riordan's death an accident. It was previously reported that she didn't leave a note and there was no evidence of self-harm. O'Riordan battled a bad back and other health issues last year that forced the band, which released the acoustic album "Something Else," to cancel a tour of Europe and North America. She also revealed she had been diagnosed with bipolar disorder. Her last public words appeared to be a tweet from Dec. 20 in which she said she was "feeling good" and performing again, and another from Jan. 3 in which she announced, "We're off to Ireland." Following her death, her bandmates tweeted that "the world had lost a true artist." In a new statement Thursday, they said they continued to "struggle to come to terms with what happened" and said their condolences remain with her family, including her ex-husband, former Duran Duran tour manager Don Burton, and her three children.